Annex VIII is addressing one of the most important issues facing the thermoelectric community: reliability of transport data. The round-robin results showed significant problems in two of the four measurements that determine the figure of merit (ZT). The test procedures developed by Annex VIII is critical to the transition from laboratory materials development to module and device production. 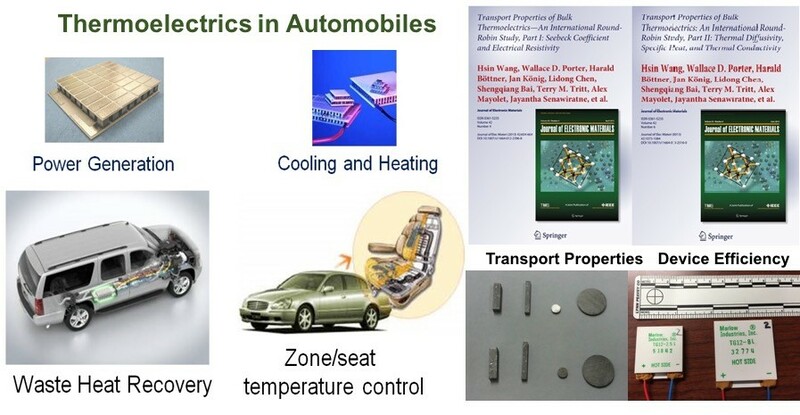 It has significant impact on the commercialization and scale-up and manufacturing of thermoelectric devices. The first round-robin on bismuth telluride was conducted in 2010 all the participating labs completed testing two sets of specimens (n-type and p-type). The results showed significant problem in thermal conductivity measurements (thermal diffusivity and specific heat). The largest measurement error came from heat capacity measurements. The Annex round-robin results were well received by the thermoelectric community. It was considered a timely and very important contribution. After the discussion on the first round-robin results, the second round-robin testing began in August of 2010 and was completed by August 2011. Two sets of p-type materials were measured at 7 labs in 4 countries. The results of round-robin 1 were given to all the labs as reference. The issues identified in round-robin 1 were discussed by participating labs. The same test instruments used for round-robin 1 were used for all the transport properties in round-robin two. All the labs completed tests on all specimens. In some cases, thermal and electrical properties testing were carried out at different labs within the same country. The 3rd International round-robin study was carried out from 2013 to 2015 focusing on high temperature (300-800 K) thermoelectric materials for vehicle waste heat recovery. N-type half-Heusler material made by GMZ Energy was used. Transport properties were tested by 13 labs in 6 countries. Following the test procedures developed by the annex, the results show significant improvement in uncertainties of the properties. Due to the error propagation in calculating ZT, scatter among various labs can be expected just above +15%. While the materials round-robins were coming to an end, annex VIII gather a small international team and conducted a survey of thermoelectric device efficiency testing. The results were published in 2015. From 2015 to 2017, the 4th international round-robin on thermoelectric devices was underway. Bismuth telluride modules from the Marlow Industries were selected for efficiency testing from 300 – 425 K. Test results showed large scatter in efficiency values mainly due to the uncertainties of determining heat flow though the devices.